SME Honolulu invites you to a February networking event! 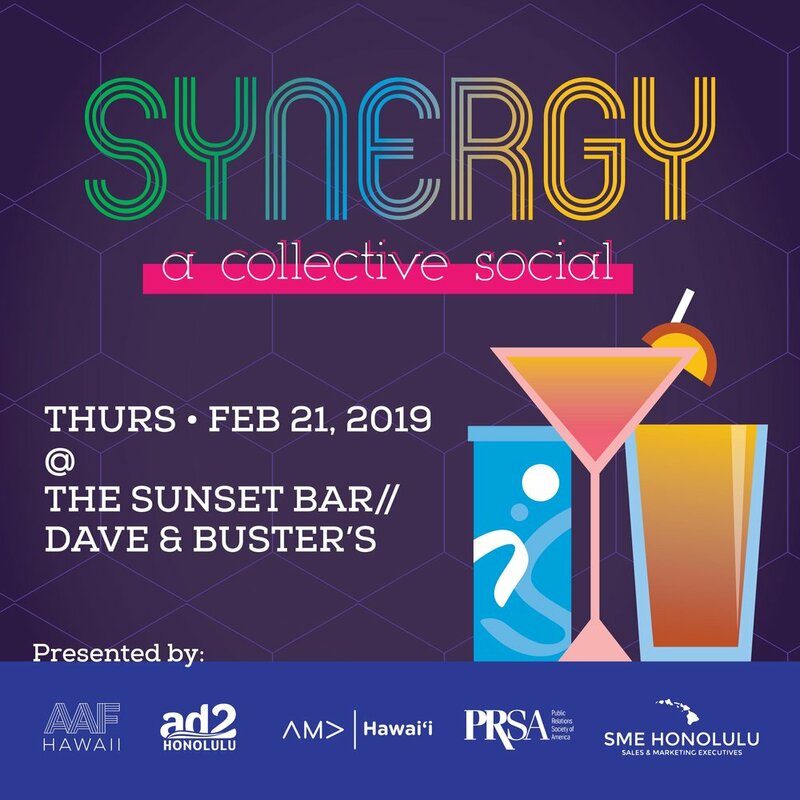 Join SME Honolulu and the local chapters of the American Advertising Federation, Ad 2, American Marketing Association and Public Relations Society of America for Hawaii’s first-ever Synergy collaborative networking social! Mix and mingle with Hawaii’s premiere marketing and communications professionals while enjoying the sunset and conversation at the social networking event of the year! Ticket price includes heavy pupus and complimentary drink, and ticket for lucky number drawing. Please dress to impress in business casual. Free Parking can be found at Ward Theatres or Whole Foods. Founder & Chief Brand Officer of SIGNAL.csk. Cheryl will share with us the power of branding – showcasing how it’s the "not-so-secret" weapon every company has. She will tell us about her proprietary method of not only how to discover the power behind brand but also how to leverage it. $45 for non-members and guests. Ticket price includes pupus and drink ticket. Find out how to stand out in a crowd and bring powerful brand stories to life that can inspire, engage, and keep consumers coming back for more. Cheryl Farr has led sessions at Innovation Enterprise’s Women in Business Summit, Brand Strategy Summit, and Chief Brand Officer Summit. She has also been a panel speaker at a IC Summit’s Colorado Marketing Summit in Denver. She is the Founder and Chief Brand Officer at SIGNAL.csk. SIGNAL.csk partners with clients to commit to building a clear, focused, targeted brand that their desired audiences can love deeply and drive predictable, repeatable, and scalable brand value and growth. Sail Into 2019 with SME! Join us for a special private sail full of holiday cheer to celebrate the close of 2018 and the beginning of a fabulous 2019! Enjoy pupu and cocktails on the boat as we enjoy the sunset and watch the Waikiki fireworks. $30 for non-members and guests. Self-parking is available at the dock or nearby at Ward Village. Please arrive promptly at 5:30pm to make sure you are on-board before we set sail. We have limited space available, so make sure to get your tickets TODAY! Last year alone, 205,207 local jobs were supported by retail - that's one quarter of the work force! Join us for pau hana and find out why retail is still big business and what the future has in store for it. Tina Yamaki, President of the Retail Merchants of Hawaii, will give us insight into the future of retail here in Hawaii. Tina is the lead advocate and voice in government and the community in promoting the welfare, interests, and training for the retail industry. She has over 20 years of experience in representing state-wide nonprofit and trade organizations, including developing and improving the Roberts Hawaii brand. Join us for an evening with Scott Hogle, Senior V.P. of Sales at iHeart Media and author of “Persuade, The 7 Empowering Laws of the SalesMaker”. In today’s world, SalesMakers are not just in sales - they are everywhere and everyone. Scott will share with us the empowering laws that can persuade others and elevate our relationships. His new book, Persuade, The 7 Empowering Laws of the SalesMaker, inspires confidence and competence in presentation, and enhanced connections with others. A plethora of real-life examples offers insightful intelligence from sellers and executives at Facebook, Google, iHeart Radio, Amazon, New York Life, Hawaiian Airlines, Dell EMC, Microsoft Xbox, Clear Channel Airports, and Zillow. Ticket price includes heavy pupu, drink ticket, and free parking! Scott has over 25 years of experience in sales, management, and executive leadership. He is an author, speaker, and career broadcaster. Currently, he is a Senior Vice President of Sales for iHeart Media and a certified coach, speaker, and a Founding Member and trainer with the John Maxwell Company. We’re thrilled to have international business pioneer Manuel Menendez as our speaker for the evening! Menendez advises Hawaii businesses on development strategies and sustainable economic development. The evening will touch on four areas to boost success between Hawaii and the China market, which now has a GDP of 12Trillion USD and is the world’s second largest economy, after the U.S.
and one $15 power card. after a special game session! How to understand and enter the China market with minimized risk, as well as how to market and sell to China and Chinese visitors in Hawaii. Understanding transaction methods and legal structures, including licensing and royalty deals, agent/sales representation agreement, distributors and more. How to successfully import to China and export from China, set up manufacturing, and more. Make meaningful educational agreements and Government relations between Hawaii institutions and China. Join Sales and Marketing Executives (SME) Honolulu and Spectrum to learn about the future of communications and cable in Hawaii. 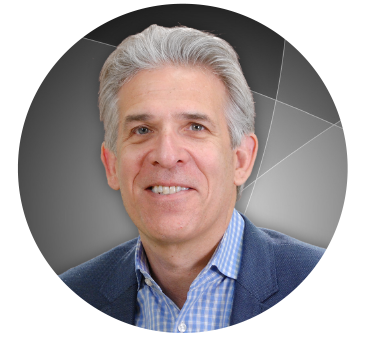 David Klein, Regional Vice President of the Pacific Region for Spectrum Reach, will give us insight on the true impact of the coming advancements in personal and business applications, as seen from the second largest cable company in the country*. Prior to Spectrum, David has served as Vice President of Advertising Sales for an NBC-owned station. He led global advertising sales for Nokia-owned NAVTEG Media Solutions, helped launch location-based advertising on Garmin navigation devices, and was Division Vice President for Comcast Spotlight/Northwest. Tickets include a served 3-course dinner, with coffee & tea service. There will be a no-host bar available for the purchase of alcoholic beverages. Join Sales and Marketing Executives (SME) Honolulu for our annual Salesperson of the Year (SPOY) Luncheon to celebrate our 2017 Honoree. Sponsor packages are available, with ten seats per table. Eric Yeaman joined First Hawaiian Bank (NASDAQ: FHB) as President and Chief Operating Officer on June 22, 2015. He oversees the bank’s Retail Banking Group as well as its Strategic Planning and Investor Relations, Digital Banking, Enterprise Technology, Operations Services and Bank Properties Divisions. He is also a member of the bank’s Senior Management Committee. Prior to joining First Hawaiian Bank, Mr. Yeaman was President and Chief Executive Officer of Hawaiian Telcom from 2008 – 2015 where he successfully led the company’s return to profitability and growth as well as its transformation to become Hawaii’s technology leader with the launch of Hawaiian Telcom TV, 1 Gigabit internet speeds, data center and advanced cloud-based services. In 2008, he served as Senior Executive Vice President and Chief Operating Officer of Hawaiian Electric Company, Inc. (HECO) where he was responsible for the leadership of its day-to-day Oahu operations, energy solutions, public affairs, financial and administrative process areas. Prior to that from 2003 – 2008, he served as Financial Vice President, Treasurer and Chief Financial Officer of Hawaiian Electric Industries, HECO’s parent company. He was Chief Operating and Financial Officer for Kamehameha Schools from 2000 to 2003 and began his career leading numerous audit and consulting projects at Arthur Andersen LLP from 1989 - 2000. Active in community affairs, Mr. Yeaman currently serves on the nonprofit boards of the Harold K.L. Castle Foundation and Friends of Hawaii Charities. Until recently, he was also on the nonprofit boards of The Queen’s Health Systems (the last 6 years as Chairman of the Board) and the Hawaii Community Foundation. In addition, he is a director of Alaska Air Group (NYSE: ALK), Alexander & Baldwin (NYSE: ALEX) and Hawaiian Telcom (NASDAQ: HCOM) and a member of the Hawaii Asia Pacific Association. Mr. Yeaman was honored as one of the University of Hawaii Alumni Association Distinguished Alumni in 2016. He was also named Hawaii Business Magazine’s CEO of the Year for 2011. In September of 2010, he was inducted into University of Hawaii’s Shidler College of Business Hall of Honor. In 2004, Mr. Yeaman was recognized as the Financial Executive of the Year (Regional Award) sponsored by Robert Half International Inc. and the Institute of Management Accountants, as well as one of Pacific Business News’ Forty Under 40. Mr. Yeaman was born and raised in Kona, Hawaii, earned his Bachelor of Business Administration degree (with distinction) in accounting from the University of Hawaii at Manoa and is a certified public accountant in the State of Hawaii. Join us for a special SME Members PLUS event to do some Sailing and hopefully, whale watching. This event is open to SME Honolulu members and their guests. Ticket includes drink, pupu, and a private sail! Space is extremely limited to only 30 people! Buy your tickets today! TICKETHOLDERS: Please arrive no later than 5pm. We will set sail promptly at 5:15pm. Location: Kewalo Basin Slip E208 ; Boat name: "Caelestis"
SME ANNUAL Pau Hana Holiday Party! Spa & enjoy Mini Facials, Massages & more! Join us and speaker Yancey Unequivocally, President of Empowered Presentations, to enhance the power of your presentations! Presentations can either make or break your success in business; whether it be to a client, your team, or in social situations. Enrich your know-how and learn from real-life examples on how to captivate your audience. Yancey has won several awards for her design work specializing in crafting custom tailored presentations to target the needs of an audience. These awards include "Top 25 Women Who Mean Business", "Best New Business and Innovative Business", "Best in Small Business", and features in Forbes. She has 'empowered' national clients such as Harvard, Red Bull, Cisco, and iHeartRadio, as well as startups including Blue Startups and XLR8UH. Ticket pricing includes wine tasting from Johnson Brothers Of Hawaii! Get Your Lucky Strike On! Join Hawaii Sales and Marketing Leaders for a fun night of pau hana bowling! A special event for SME Members and Invited Guests at the premiere lanes of Lucky Strike Social. EARLY BIRD SPECIAL: All guests registered by October 10, 2017 will receive the Member ticket rate. We have the lanes to ourselves, so come get your Lucky Strike on! RSVP today! LIMITED SPACE AVAILABLE. Kickoff Fall EVENT! Pam Chambers and her latest book "Not This Again!" Fun & Interactive Real Time Event, with KAHOOT! Pam will be presenting her thoughts on how to make the workplace less challenging. "Not This Again! ", her latest book addresses the top 18 challenges we face each day. In this presentation she'll aim to help you assess how to navigate repeated workplace challenges. * Attend this sneak preview of the 18 challenges Pam has identified in Hawaii’s businesses. Her observations and conclusions are based on 31 years as a corporate trainer in Hawaii. Featuring the One and Only, WILLIE K ! Join Hawaii Sales and Marketing Leaders for a night of Food, Fun, Friends, and the sounds of Willie K! A special event for SME Members and Invited Guests at The Blue-Note. Hurry, tickets going fast! Deadline for early price of $40.00 ends Monday, August 7. $50.00 after August 7. Join us for a speed dating style event. You’ll meet with Hawaii’s Leading Broadcast, Print and Online Pros, One-on-One to learn what’s coming next! Heavy Pupu, Cocktails, Prizes and Loads of Fun. You won't want to miss it. Bring a Friend or Two!!!!! Ever feel like there isn't room for you in the crowded marketplace? Are your competitors edging you out? Undercutting your price? Is it sometimes hard to be true to your brand and still get your marketing message heard in the noise of all of the competition? Join us as Moses Aipa shares ways to maintain authenticity for your brand while engageing new audiences and increasing marketshare. Moses Aipa spent the last 15 years at the creative helm of Incase, growing the company from a small tech start-up in San Francisco to a global provider of bags and accessories, who has become known for their artful design, connection to the creative class, and popularity across all demographics. Be sure to join us to hear how he helped shape Incase to become a household name in one of the most crowded markets of the last decade where it could seem that everyone else was going faster, cheaper, and louder. He'll also share news of his exciting new project with the former CEO, Co-Founder of Incase. Don't miss it. As products become more commoditized and business becomes more competitive, differentiating your brand requires more than promotions and clever marketing. It requires a profound level of customer empathy, from which you can craft a holistic experience that delivers on their expectations–the difference between disappointment and delight. Victor Nguyen-Long is a Creative Strategist, Copywriter, and arts advocate, living in Washington, DC. He's a firm believer that marketing is simply sharing an idea you genuinely believe in with others. And over the past 15 years, he’s worked with the most prolific brands in the world doing just that: Nike, Cartier, Red Bull, and Coca-Cola to name a few. Before striking out on his own in 2016, he led digital marketing globally for Nike Sportswear, Nike's largest footwear and apparel category, and was most recently GM of Experience Innovation at Audi of America. His fascinating career has led him to both scaling the ivory tower developing 30,000-foot marketing strategy as well as crawling in the trenches executing. And though most of his career has been on the client side, he’s lived the agency life as well, having been a Strategist at award-winning 72andSunny. His unique breadth of experience spans all forms of traditional and non-traditional marketing, consumer insights, experience design and innovation, and strategic planning. He now continues to work with some of his former brands and others, crafting and sharing their stories, while fighting to protect and elevate the DC creative community. LIGHTS. LAUGHTER. LIBATIONS. LUCKY #. It's inspiration for the holidays. Local mixologists showcase custom holiday cocktails and mocktails, while the distillers’ company reps educate on how Hawaii’s libation market is promoted through the state, domestically and internationally. Simultaneouly, the Sheraton’s award-winning culinary team will stimulate the palate with sweet and savory pairings. Everyone's a winner but someone will receive a little something extra in their stocking. Hawaiian Airlines is giving away 50,000 airline miles to make your holiday dreams come true. Influencer marketing has proven to be an effective marketing channel replacing other channels affected by the growing ad blocking movement. Key demographics are spending significantly less time in front of a TV, and they are consuming their everyday media content solely through social media channels, apps, and platforms. As viewership, audiences, and social platform growth continues to rise, so too will the ad dollars seeking to capitalize on the untapped reach and exposure of these marketing channels. Iconic brands are tricky. Especially those that touch individuals so deeply like The World Trade Center Bombing and the Attack on Pearl Harbor. How do you make it fresh and relevant, while respecting the past? Is it a challenge to “celebrate” a day in history that is so devastating? And what about the new generations who don't have an emotional bond to the event? How do you reach them? How do you use the latest online marketing channels to promote? With almost 2 million visitors in any given year, the 75th anniversary of the attack on Pearl Harbor is set to break all past attendance records. The inspiring Arizona memorial has been on the top of the must-see list of almost every visitor who comes to Hawaii for decades and with a calendar full of back-to-back celebrity events and ceremonies, December 1st - 8th will see a phenomenal influx of tourism dollars to the island from all over the world. The promotion of this year’s event is in the hands of a veteran marketing and tourism expert. Join us as Tony Vericella presents the committee’s approach to update the iconic brand, keeping emphasis on the historic reverence, while making this year’s event relevant to all. Plus he’ll give an update on the many activities leading up to and surrounding the 75th Commemoration – including the 2016 Honolulu Marathon. When you leave, you’ll be brimming with ideas on how your brand can cross-promote, compliment and collaborate with the celebration. Join us. BONUS: With the perfectly situated lanais overlooking Kalakaua Avenue, you’ll catch a sneak peek of the nearly completed International Marketplace, due to open in late August. Be one of the first to see it! Tony S. Vericella is President of Island Partners Hawai`i and Luxe Travel Hawai‘i and the Senior Vice President of Business Development of MC&A, Inc., an event and destination management company specializing in corporate incentives and meetings; distinctive celebrations and social events; and exclusive, private groups from North America, Asia & Pacific, Europe, and Latin America. Vericella has over 40 years of extensive leadership experience in all aspects of the Hospitality and tourism industry. His career in Hawaii began with Hawaiian Airlines and evolved to American Express Travel Related Services, Budget Rent a Car-Asia/Pacific and the Hawai`i Visitors and Convention Bureau. He holds a bachelor of science in Biology & Chemistry from Purdue University, and an MBA, with concentrations in Marketing and Finance, from UCLA. He has served on many for-profit and non-profit boards including international travel associations, local community organizations, and private educational institutions. Tony and his wife Dana were married on O‘ahu in 1980, and have lived on the island since 1983.